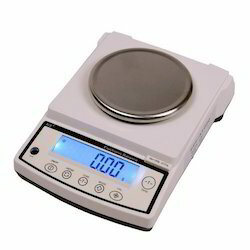 Our range of products include weighing balances. We are involved in manufacturing and supplying of Weighing Balances, which are instruments for measuring the mass of the object like processed food items. Weighting Balances use both spring or digital scales to measure the quantity of the objects. Our Weighting Balances are based on digital technology and designed for accurate results. Looking for Weighing Balances ?